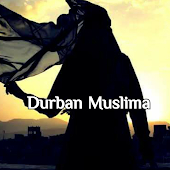 Durban Muslima: How would we treat her? When al-Ghaamidiyyah came to RasulAllah (sallAllahu alayhi wa sallam) and confessed that she had committed zina *and* was pregnant from it, he sent her back not only until she'd given birth, but until her child had been weaned. During that time - almost three years - she was neither imprisoned nor put under house arrest. She lived her life amongst the people of Madinah; she raised her child with them, she worshipped with them, she was a part of the Muslim Ummah. All of this, while everyone knew her sin. And when she returned to RasulAllah, her child fully weaned and eating a piece of bread as proof, she demonstrated her sincerity of repentance and her desire to be absolved of her sin in this world so that she would not endure the punishment of the Hereafter. When RasulAllah and his Companions duly carried out the hadd punishment - at her own request - and one Companion was so upset in the moment that he cursed al-Ghamidiyyah, RasulAllah immediately took him to task and testified as to the powerful sincerity of her tawbah. Consider this exact same scenario in our communities today. Imagine that a married Muslim woman came forward and confessed to zina, and her pregnancy. Imagine if she was sent off to wait until her child was two years old. Imagine that she continued coming to the masjid. Imagine that she and her child attended masjid events; that they showed up to weddings and funerals and community dinners. How would you and I treat such a woman? Would we have the mercy of RasulAllah (sallAllahu alayhi wa sallam) towards her? Would we say salaam to her in the masjid or the streets? Would we be willing to pray next to her? Would we let our children play with hers? Would we make snide comments about her or gossip under our breaths about what a "loose woman" she was? Would we *let* her come to events? After her death, would we speak of her as the woman whose repentance was enough for seventy of the people of Madinah - or would we forever curse her name and view her as a shame and a scandal to our families and communities?